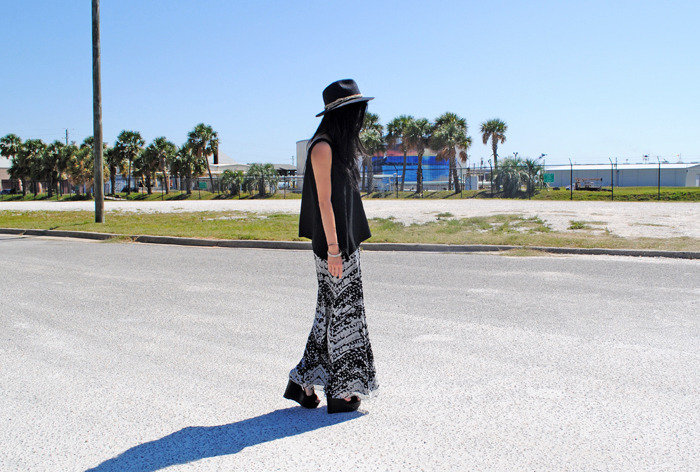 One of my favorite things to wear around town is the maxi skirt! 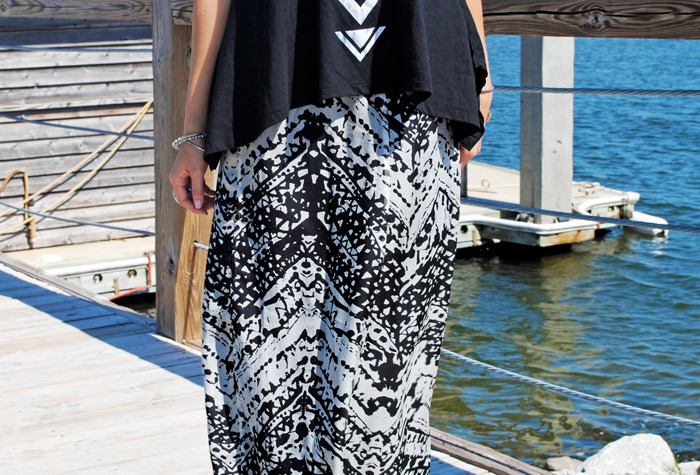 This flowy number is from "Sugar Lips" and has a unique print that pairs well with just about anything in my closet. To complete this relaxed and unstructured look, I wore it with a billowy tank, wide brim hat, and chunky Steve Madden wedges!